If you’re like me, you might have more than a few corks hanging around your house. I’ve always been good at hoarding, I mean saving, my corks, which has led to bags and bags of them over the years. 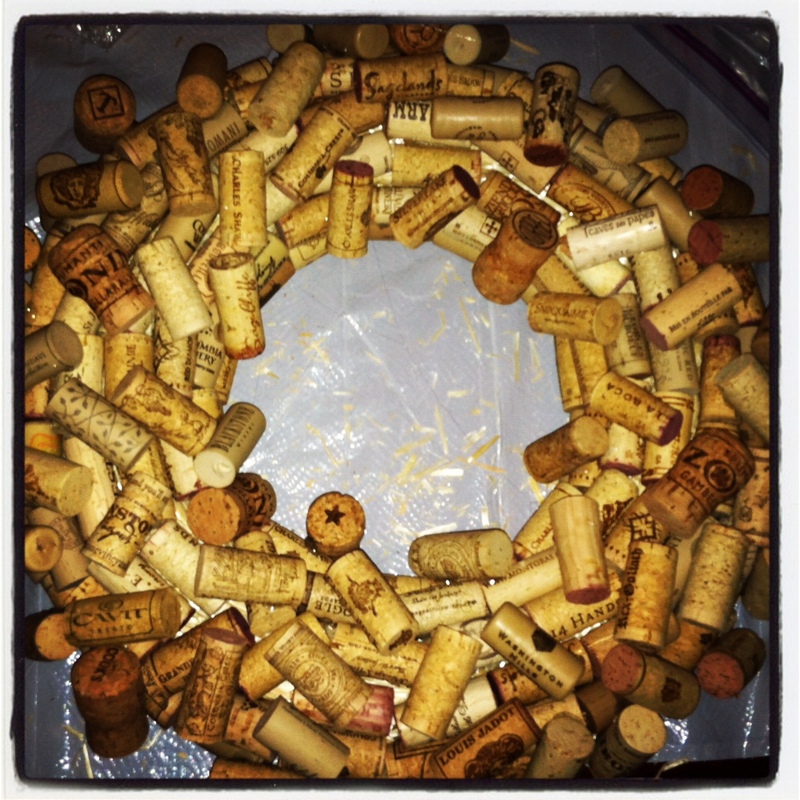 Thanks to Pinterest, I found a good use for them: wine wreaths! I started off with this tutorial from LollyChops and had incredible success. Do take note, though: use a straw wreath (rather than a styrofoam one), straw will get everywhere and you will burn yourself with the hot glue gun(also note that you’ll use A LOT of hot glue, be prepared!). I used a garbage bag as my place mat and have never been so pleased with my forethought. Straw wreaths = a huge mess. I followed the LollyChops tutorial as written and ended up with this beauty. Voila! It’s on the front door now, welcoming guests into our home. Voila! Beautiful wine art made by me! 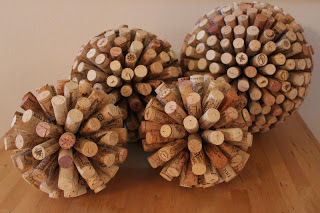 I’ve still got some corks leftover and I’m thinking these might be fun to make… However the timing listed in the tutorial is a bit daunting. I do have a history (successful but lengthy) with styrofoam ball art that I’ll share with you sometime soon. What do you think? 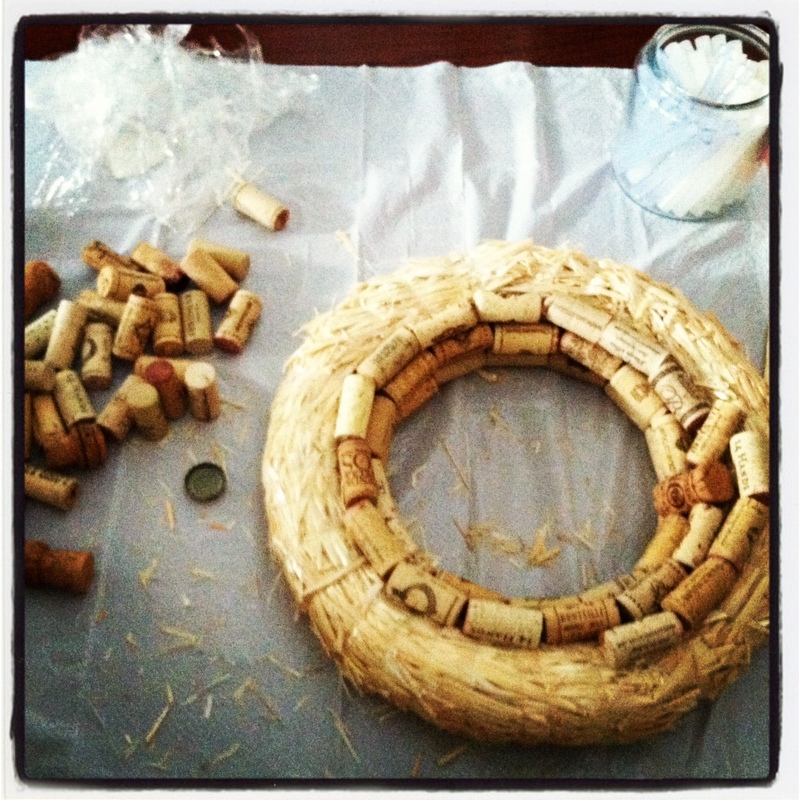 Have I inspired you to make a wine wreath or cork ball? Love the cork balls! Can’t wait to try it!